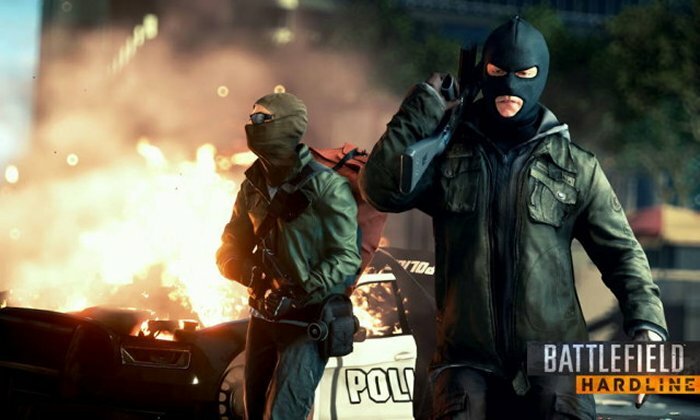 The Battlefield Hardline title is one that players are looking forward to and now the developer Visceral Games has shed some light on the title’s single player story mode. The title is based on a cops vs bad guys theme. We know that. We also know that despite the fact that Battlefield Hardline has been delayed until next year, the single player story mode has been locked in and now we get details. Visceral Games revealed the details at the San Diego Comic-Con panel this weekend. It is the story of a cop named Nick who gets framed after a drug bust goes wrong. The game’s creative director Ian Milham described it as “desert, Breaking Bad meth country.” The idea is that Nick has to go undercover to clear his name and players will get to have perspective from both sides of the story. Sounds promising so far, don’t you think? Some other things that we know are that the single player campaign will have Eugene Byrd and Kelly Hu in major roles. The Shield’s Mark Rolston and Sons of Anarchy star Benito Martinez will also play roles. Wendy Calhoun, writer and producer of Nashville and Justified, is onboard as a narrative consultant as well. I have to say, it has all of the right stuff. Hopefully it will be as good as it seems.